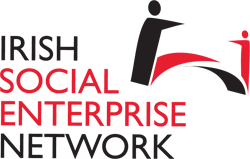 Hi there, and welcome to the website of the Irish Social Enterprise Network. In this section, you can find out about us who we are, what we do and if you want to help, you can check out some opportunities to volunteer with us. If you don’t know what a social enterprise is, if you think that the organisation you work for could become a social enterprise or if you want to start a social enterprise but you’re not sure what it is, then we hope that you’ll find some of the answers on this page. The network is apolitical. If your children have fun in a community playgroup, if you ever hunt for bargains in a charity shop, or if you use community services like meals on wheels or accessible transport services, then you already know a lot about social enterprises. In a nutshell, they are businesses that are trading in order to provide essential services in their communities; to tackle some of the biggest problems in society or to address environmental issues. With the profits they generate from trading, social enterprises reinvest back into the business or the local community, continuing to provide jobs and other benefits to their communities. Social enterprises are everywhere you look – cafés, care organisations, creches, credit unions, leisure centres, recycling companies, youth centres, and a whole array of other businesses. So they’re the same as charities? Yes (and no). A lot of social enterprises register themselves as charities making them exempt from tax on their profits, because they don’t distribute revenue to shareholders and reinvest them in worthwhile initiatives for the benefit of their communities. But social enterprises, in general, focus on trading and don’t get involved in many of the types of fundraising activities that we commonly associate with charities – street collections, raffles, fundraising events and so on. The social enterprise typically has the same vision or mission of a charity but happens to also generate profits from their niche in the economy. OK, so they’re just like regular businesses? No (and yes). They usually don’t have shareholders who expect to be paid dividends in return for their investments. Surpluses are usually retained in the social enterprise and to be invested in pursuit of social objectives. Social enterprises are similar to regular businesses in the sense that they provide goods and services to their customers for a price. Can’t you just give me a definition?